Building trade website design Northern Beaches. Google SEO included. Start attracting new business today! 20+ years experience in web design. 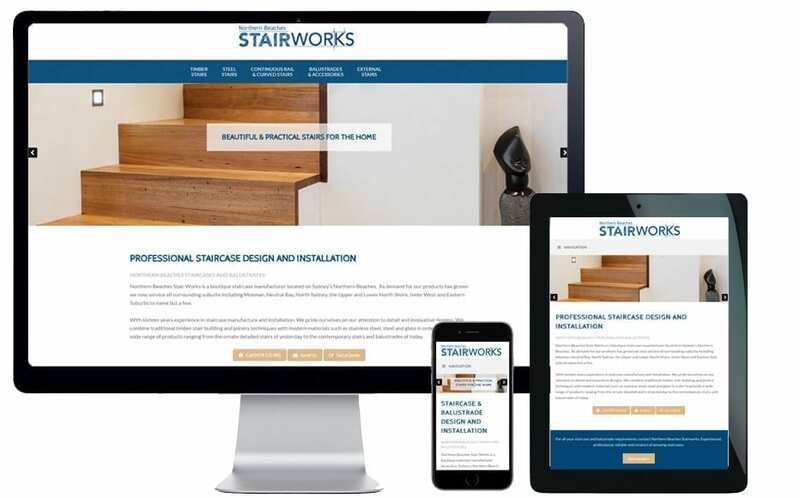 Northern Beaches Stairworks was a new business when they approached me to develop their website. 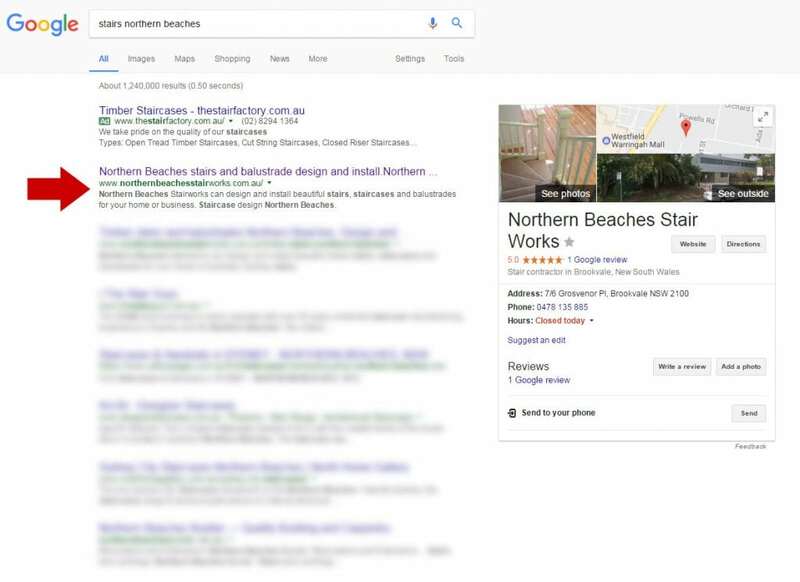 A calculated, strategic search engine optimisation plan was paramount as this new business needed to achieve a top Google ranking to get work coming in immediately as they couldn’t rely on referrals like older, more established businesses can. I undertook extensive keyword research to uncover common keywords and also niche phrases. Niche phrases are helpful as there is often not a lot of competition for these so it’s very easy to obtain a top Google ranking very, very quickly. The client had an extensive photo gallery of past work so I used these very purposefully as part of my search engine marketing strategy. The website secured the number 1 organic spot on Google very quickly and has remained there since (see screen shot below). The only listing above them is a paid advertisement. Finally, the website needed to look aesthetically beautiful and represent the client’s body of work. I achieved this by using large images and featuring photo galleries in various locations throughout the website. I have been providing specialist trade website development, SEO and internet marketing services since 1996. One of my most distinguishing points of difference over other website development companies is the advice, knowledge and expertise I provide my clients at no additional cost. 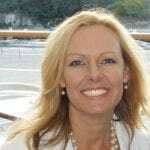 I don’t see my role as simply your website developer or graphic designer. I work in conjunction with you to determine who your clients are, where they can be found and how we can ensure your marketing message speaks directly to potential customers. I want your business to get noticed and your level of enquiries to increase exponentially. My all-inclusive tradie packages include website development, SEO (Google ranking), keyword research, domain name registration, website hosting and unlimited email addresses. More information about my all-inclusive trade web design & SEO packages.